When it comes time to get a new car, you’ll likely have to face the question of what to do with your old car. Do you sell it? But for how much? And to whom? All of these questions will likely give rise to the option of trading your car in. This can often be easier than trying to sell your car privately, so long as you find a trusted dealer who offers a fair compensation. 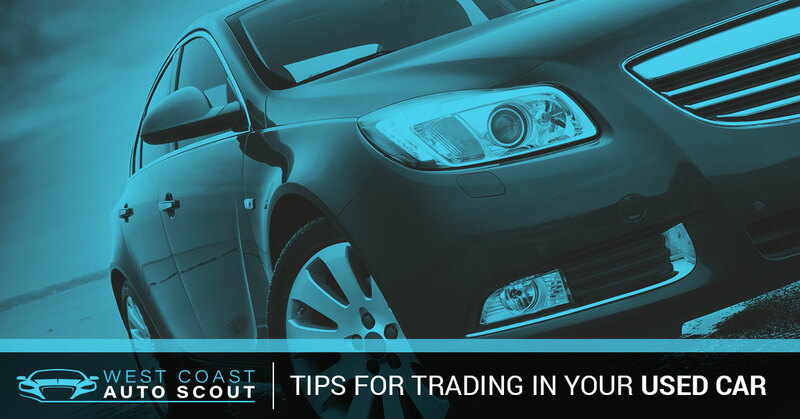 To help give you a better idea of how to appraise your car, and how to maximize its value before trading it in, West Coast Auto Scout has put together this list of trade in tips. With 30 years of industry experience, a vast network of connections, and a deep understanding of the buyer process, West Coast Auto Scout is Los Angeles’ go-to auto brokers. Though you should never lie to your car dealer—or really anyone, for that matter—try to first get an offer on the new car of your interest before you bring your trade in into the mix. If you do this you’ll get a more honest representation of the price, which will serve as a better starting point to begin negotiating. If you throw out seemingly random numbers, this shows that you haven’t done your homework, which ultimately reduces your bargaining power. Also, remember to step back and consider how much your sentimental value is influencing your personal appraisal. Though it means a great deal to you, sentimental value means nothing to dealers and future buyers. Don’t let your personal attachment influence your perception of your car’s worth. Strive to be as objective as possible. Building off the last tip, it’s important to give this tip a section of its own. If you’re trading in your car, research what similar makes and models are going for. There are a number of great auto resources out there which you can cross reference and ultimately pin down a price. Entering into an auto negotiation with the confidence of knowing your car’s worth, will be tremendously beneficial. Additionally, you could also contact West Coast Auto Scout, and we can help you not only get an accurate car appraisal, but we can also help you find the car of your dreams. Get a tune up – air filters, oil change, etc. The truth is, if you are happy with just about any old car, buying a car isn’t that big of a deal or that much of a hassle. However, if you have your heart is set on a specific make, model, color, or price, car hunting can be exhausting. If this is your situation and you’re in the Los Angeles area, we have the solution for you—contact West Coast Auto Scout. When you use an auto broker, like West Coast Auto Scout, for example, you get a team of professional negotiators who know the ins and outs of the car industry. They will use their experience and expertise to not only find you the car of your dreams but also get top dollar for your old car. Set up a free consultation today to learn more!